Seasons Greetings everybody! To celebrate the holiday season we are giving all our customers at CanadaVet.com 20% off Joint Guard 750g. 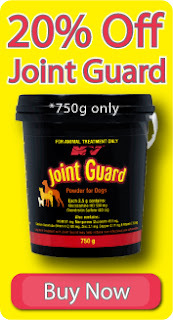 We don't want any pets in pain this Christmas, so be quick and purchase your Joint Guard now! Offer is only available during December, 2012.